This is part 2 of a study of the fascinating Bible story about Jacob wrestling with God. This is one of the most epic stories of the Bible. It is where the name Israel comes from—the name of God’s chosen people and the name of the country we know today as a key ally in the Middle East. For us, the story is an image of the violent struggle to build a relationship with God through Jesus Christ. Jacob was born as a twin brother to Esau, with whom Jacob had a great rivalry. Jacob's name literally means "heel grabber" because Jacob was grasping his brother's heal as Esau emerged from his mother's womb. The sibling rivalry between Jacob and his older brother Esau was fueled by their parents' favoritism. Their father, Isaac, favored Esau, but their mother, Rebekah, preferred Jacob. Jacob was a cunning man and he found a way to trick Esau out of the family blessing and inheritance. It infuriated Esau so much he vowed to kill Jacob. Jacob had to run for his life to a foreign land. Well, years went by and Jacob grew up and grew wealthy with wives, servants, children, and possessions. He decided it was time to finally come home and face his brother Esau. Jacob is on the way home when we come to the strange story in Genesis chapter 32. 22 During the night Jacob got up and took his two wives, his two servant wives, and his eleven sons and crossed the Jabbok River with them. 23 After taking them to the other side, he sent over all his possessions. Building a relationship with God through Jesus Christ is not a casual pursuit. It is spiritually violent process, like Jacob wrestling with God, where God wrestles with our sinful attitudes and behavior and we strive—through the power of the Holy Spirit—to become more like Christ. It takes passion, determination, and a deep hunger and thirst for the Kingdom of God. 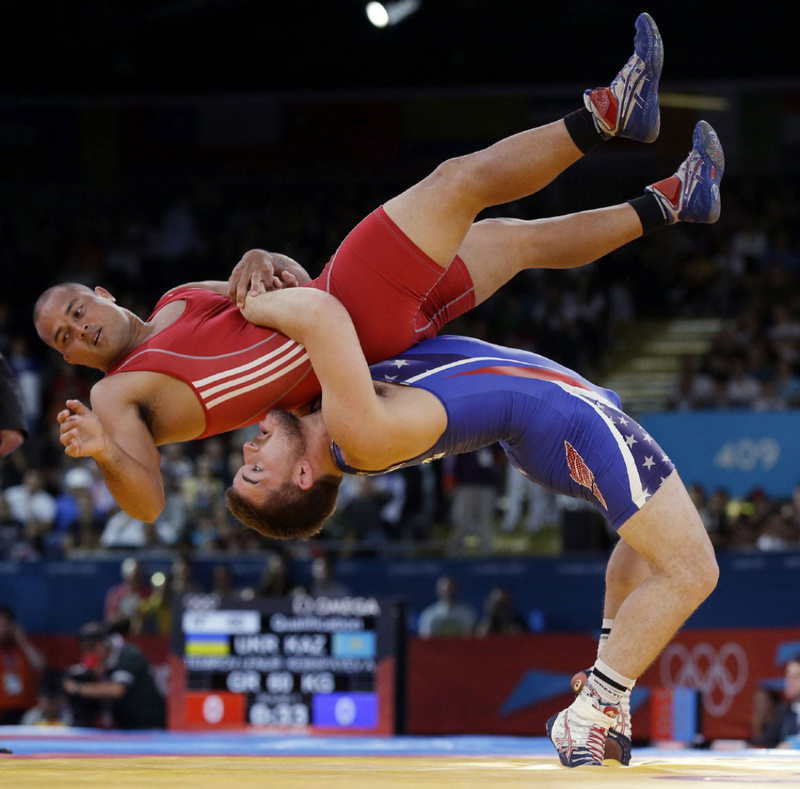 Imagine a wrestling match where the athletes are throwing one another to the ground, grappling, twisting, pressing their full weight and strength against one another. Elbows and knees sometimes smash into bodies or faces as the opponents struggle for dominant positions, reach for holds, and fight for submission. Jacob’s hip was torn from its socket during his match with God. I can’t imagine the pain! Grappling during Jiu-Jitsu is one of the most strenuous exercises I have ever done in my life—even more physically challenging than the high school football I played back in the day. Does this describe the way we pursue our relationships with Christ? Should it? In the New Testament, in Matthew 11:12, Jesus described His Kingdom this way: he said, “From the days of John the Baptist until now the kingdom of heaven has been advancing violently, and the violent take it by force.” What did Jesus mean? Well, we know Jesus did not use physical violence to force his Kingdom upon the earth. He did not raise an army wielding swords and spears. Jesus never physically tried to overthrow the establishment by military force. So what did Jesus mean? Jesus taught forgiveness, peace, and love. These words don’t make us think of violence. However, forgiveness, peace, and love are radically different from the ways of the world—both in Jesus time and in our own. When forgiveness challenges malice, a violent struggle ensues for the soul of humanity. When peace confronts war, there is violent opposition. When love opposes hatred, it either converts or destroys the one who hates. Many people today, just as in Jesus’ day, are fine with religion so long as it is just a thing kept on the side—a casual interest. They are fine with it just so long as it is not taken too seriously. They want to keep God packed away safely in a box and take Him out only on special occasions—when a baby is born or as a pretty decoration for a wedding or maybe when some problem overwhelms them and they want divine help. However, God cannot be put in a box, let alone kept there. He is the one who comes in the night and violently wrestles Jacob to the ground, dislocating his hip, and forcing him to fight for his life until he received a blessing. The Kingdom of God came through Jesus according to God’s timing. No one said, “Ok God, give us some of that religion now.” No sir! God said, “It’s time.” And He sent an angelic host to announce his Son’s birth. They shouted, “The Savior—yes, the Messiah, the Lord—has been born today in Bethlehem, the city of David!” And with Jesus, the Kingdom of God came crashing into our world like a violent, unstoppable hurricane. Everyone was confronted with the choice to accept or reject Jesus as Lord. The Kingdom of Heaven is advancing forcefully today. It’s here to grab you, wrestle you to the ground, and demand a response. Who is Jesus to you? How will you respond him? Will you commit to follow him with your whole heart or be left behind? I watched a documentary on the fall of Saigon in Vietnam in 1975. After years of fighting, the capital of South Vietnam was about to fall to the communist North. 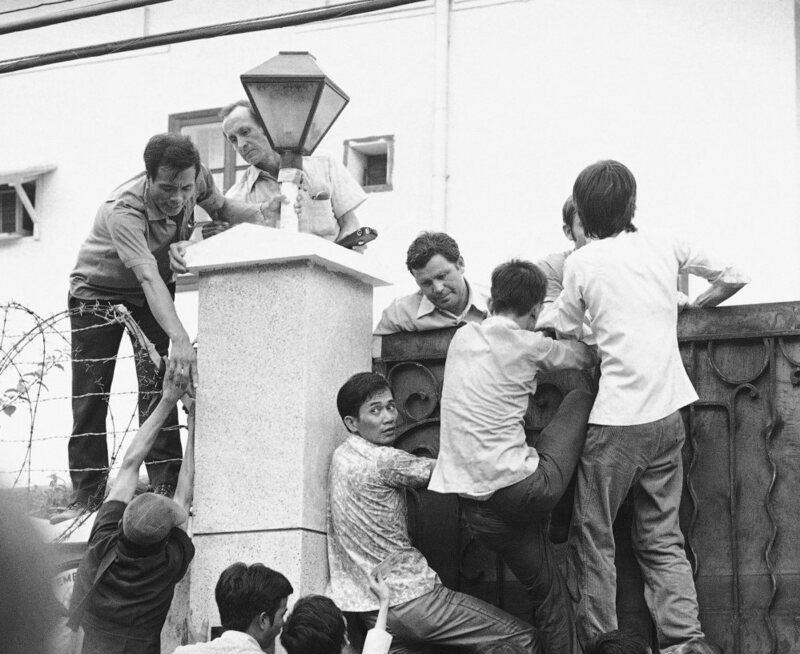 The capture of the Saigon was imminent and preceded by the evacuation of almost all the American civilian and military. More problematic were the tens of thousands of South Vietnamese associated with the southern regime who had fought against North Vietnam. What was to become of them? 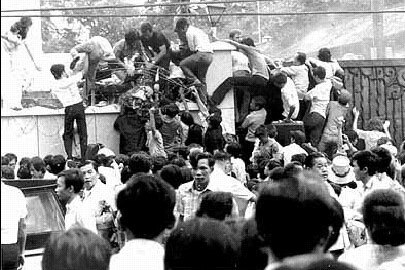 There just wasn’t room to evacuate all the South Vietnamese from Saigon and many feared that once communists took control of the city, a bloodbath of reprisals would take place. Chaos ensued as American soldiers and officials agonized about who they could save and who would have to stay. Refugees seeking asylum crowded against gates and in many cases scaled the walls of the American buildings and military bases. It was most often those who in their determination violently pushed their way through barricades that escaped to safety. Americans airlifted as many as they could. 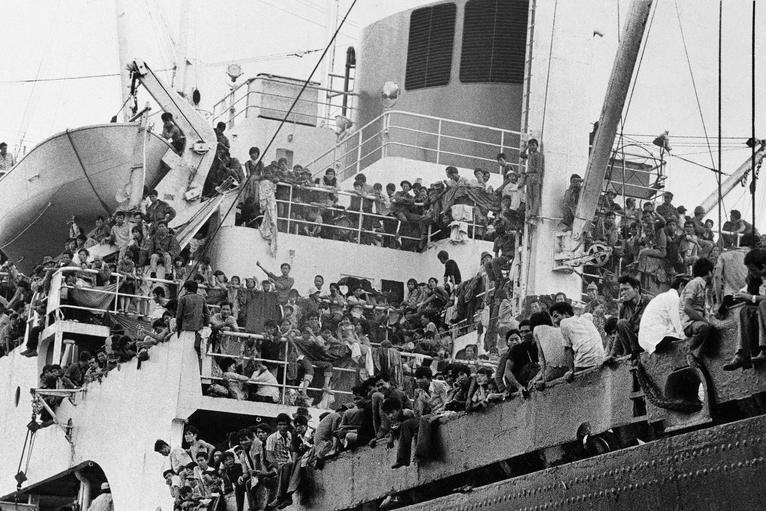 Accurate numbers are hard to determine, but the number of South Vietnamese refugees to enter the United States totaled 138,869. Sadly, it is alleged that some 30,000 South Vietnamese who did not make it out of Saigon were systematically killed by the North. The evacuation of Saigon is similar to Jesus' description of how the violent take the Kingdom of God by force. Do you think you will come into God’s Kingdom simply by sitting on your rump in a pew each Sunday? Jesus said the violent take the Kingdom by force. The image is that of an invading army scaling the walls of a castle, fighting their way through the defenders, breaking down the doors to the stronghold, and taking over the Kingdom. 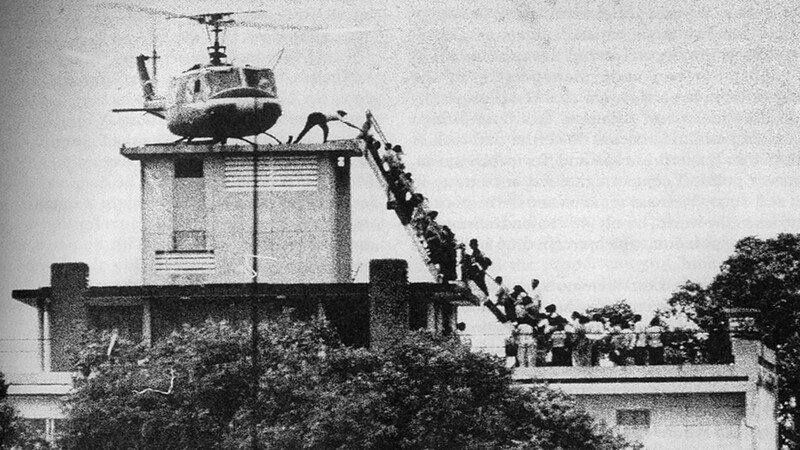 Or if you like, imagine the frightened South Vietnamese of Saigon on April 30th, 1975 scaling the walls of the US Embassy, forcing their way onto the last crowded helicopters leaving for the safety of US ships anchored off shore. Brothers and sisters, the Kingdom of God is at hand. This is your last hope of salvation. I want you to feel the sense of urgency those Vietnamese refugees felt. Time is running out. You need to come into the Kingdom. You need to push your way in violently, if needs be. Don’t let anything keep you out. Abandon your possessions if you have to. What good are worldly goods if you lose your own soul? Forsake all your sin. You cannot afford to carry all that extra baggage with you as a refugee in the Kingdom. Put it down. Leave it behind. Come to Jesus with only the clothes on your back if you need to. Force your way in and grab hold of Jesus and refuse to let go just like Jacob refused to let go of God until God blessed him. What about you? Are you determined to find Salvation through Jesus Christ? Are you willing to do whatever it takes to come into His Kingdom? Then come and kneel before Jesus here at the altar and proclaim Him your Lord and Savior. And what about you, Christian? You became a follower of Jesus years ago. Jesus welcomed you in as a refugee. You had nothing to offer and no other hope, but Jesus welcomed you anyway. Will you now just be content to casually lounge around while so many are still outside the walls needing salvation? Some don’t even know how urgently they need salvation. They don’t even know their Enemy, Death, is fast approaching and their eternity is in danger. Others are pressing at the gates trying to get—forced there by the struggles of life: poverty, substance abuse, heartache, anxiety, depression, loneliness, sickness, loss… So often, they find the gates of the church locked—locked by our fear of them, locked by our apathy, locked by our complacency. Will you not join the fight to bring them all in—as many as we can, for as long as we can, by as many means as we can—before it is too late?